Giovanni Demasi was eager to play and Jam with some like minded musicians. In a day of social media he posted an Ad on Facebook and after a few months, Nick Townsend arrived to the scene. Throughout 2017 a range of musicians and friends stepped up to fit the bill of guitar and vocals, but nothing quite stuck. Later in the year Jason Mowle arrived and joined Resurgence in late 2017 and Vincent Chaber early 2018, finally solidifying the rhythm section, but something was still missing. Another ad was created searching for the missing piece to the puzzle, a vocalist. Fate presented itself to Joshua Ratcliff, as he responded to the Facebook ad and soon after that he became the vocalist for Resurgence. 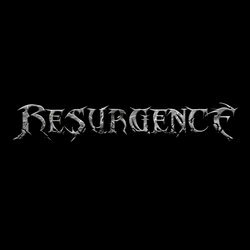 Resurgence was now ready to take on the the world, with playing their first show mid 2018, after recording a live demo at Scratch and Bite Studios, Coffs Harbour. Getting ready for the next stage Resurgence locked themselves at Old Dog Studios (Corndale, NSW) for a weekend to record their debut album 'Voices' in September. Since the release of Voices, Resurgence has parted ways with Nick and will be looking for a replacement in due time. This track is about is basically about recognizing those voices and thoughts in your head that put you down and being able to have louder and stronger positive thoughts. Taking control back.